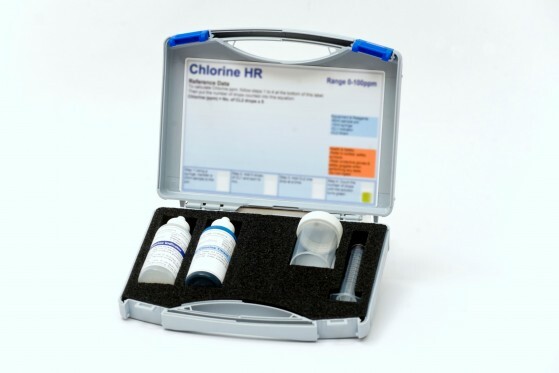 Our Chlorine HR kit includes all the equipment & reagents required to measure Chlorine within a range of 0-100ppm. The kit includes a sample pot and syringe to perform the tests; the reagents come in clear bottles so it is easy to see when replacements need to be ordered. If you require further information on this product click here.